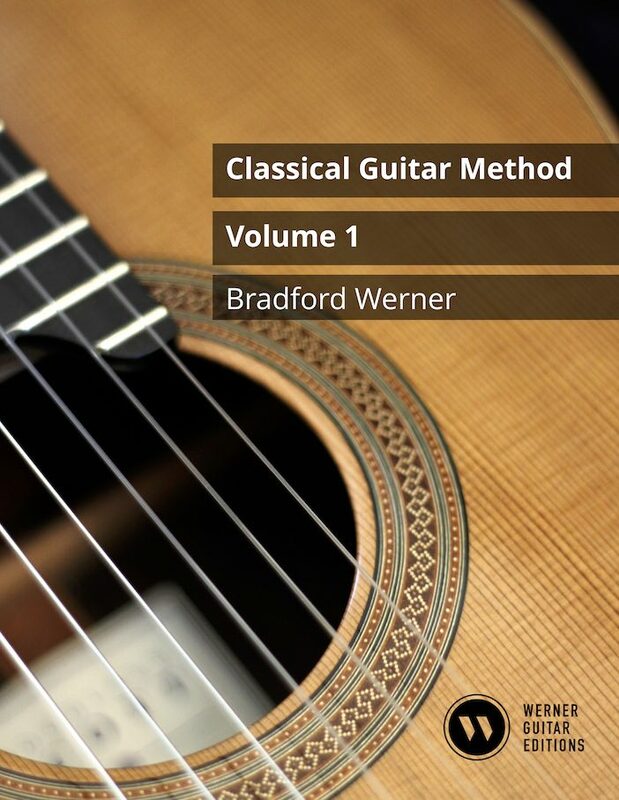 This book teaches classical and fingerstyle guitar skills with a focus on the rich pedagogical tradition of classical guitar. Most learning objectives are covered through pieces and duets allowing students to perform full pieces from the first lesson. A qualified teacher and the lesson videos should provide students with a healthy start. Also see Volume Two for more theory, exercises, and reading skills. Help support the site, free music, and lessons. Amazon.com or Amazon.ca, Amazon.co.uk, and more local Amazon stores. Looking for the older 2017 edition videos? See the YouTube Playlist: Vol.1 (2017 Edition). The below is for the 2019 edition. Visit the Lessons Page for more videos that compliment this book. Classical Guitar Technique: Essential Exercises, Scales, & Arpeggios – Notation, 122 pages, Gr. 1-9. Video lessons, hundreds of exercises. How much should I memorize the pieces and what should I keep in my repertoire? I would memorize a few pieces that you find easy to play so you can look at your hands carefully as you play them. That said, balance that with keeping your eyes on the music for other pieces so you learn to trust your hands and build sight reading skills. Near the end of the book I always have students memorize and perform well: Leyenda (melody in the bass) and Siciliano (Melody in the top voice) as a basic requirement before moving to the next book.